The Ferrari 458 Italia is one of the most impressive road-going cars ever designed. 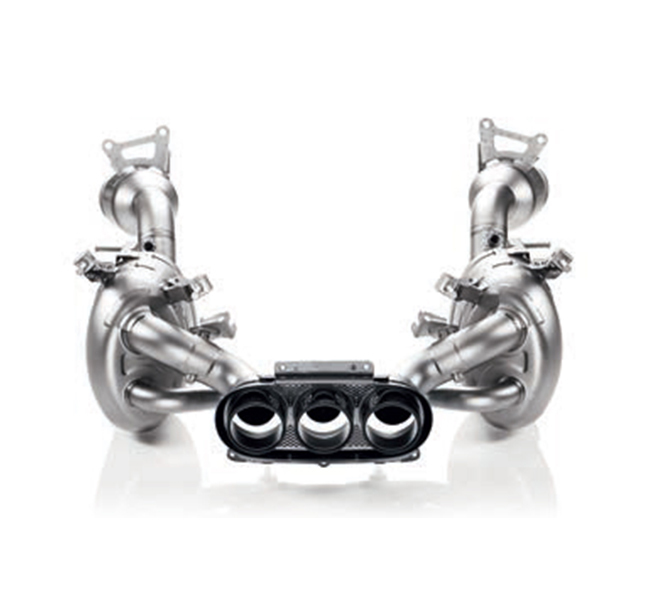 Add this titanium Slip-On performance exhaust system for even more power, reduced weight, and an enhanced sporty sound. Made of titanium, this system features dualmode exhaust valves and a triple exit system that delivers crisp but subdued sound at low rpm, but at higher rpm it fully unleashes an incredible deep sporty sound from the F1-inspired, high-revving V8. Complete the look with a set of three exquisite carbon fibre tailpipes.